Ken Bell was raised in a non-Christian home and was saved only after attending church with the woman he later married. Ken credits his growth in Christ to being able to attend a small group with other believers who loved the Lord and showed him how to follow Christ. He worked as a wildland fire fighter during this time in Salmon, ID. In 2008, he and his wife, Cary, moved to Kansas City, MO, to follow a calling to attend Midwestern Seminary. During this time in seminary, the Bells served on five-week mission trips in both Stevensville, MT and Salmon, ID. After graduation, they came back to minister in Montana through the NAMB church planter internship program. Ken served at Outdoorsmen Church in Missoula as an intern and then as an apprentice. Feeling God leading him and his family to more full-time church planting, they began Outdoor Life Ministries in Missoula. The church thrives on a passion for reaching people in Missoula and Bonner through outdoor activities and life groups. Ken says he and his family learned many valuable lessons while serving at Outdoorsmen Church, including tenacity and stick-to-itiveness. During this time, his family of six didn’t have running water and had to run across the lawn to the church to do everything from showering to washing clothes. With a chuckle, he tells the story of one of his children sliding the laundry basket of wet clothes down the ice in the lawn between the church and house, so they could get the clothes dried and put away! Ken says he and Cary wouldn’t have the introduction to ministry any other way, though after they moved to a new home, there was less freezing hair after a shower! The Bells held a soft launch of Outdoor Life Ministries in 2016, starting with just a few services after outreach events over the summer. In 2017, they launched weekly services and weekly life groups at the same time. Life groups played such a large role in the Bells’ life, that he couldn’t imagine starting a church without including this vital piece. Outdoor Life Ministries serves Missoula and Bonner in a unique capacity, hosting nature camps for kids that include shooting BB guns, tying flies for fishing, archery, and other outdoor activities. This year, between 250-300 kids participated in the camp and Outdoor Life was able to reach hundreds of families in the area with the gospel message of Jesus! Ken says he covets prayers for the weekly life groups and services and asks prayer warriors to lift him and his family up as the church takes another growth step. They are looking at the possibility of building a church in Bonner that would also serve as a community center. He would like to start a monthly or even weekly meal for members of the community to have a place of safety and fellowship to eat once a week. Because Bonner is not a large community, they are looking for financial partners to come alongside them and help with these transitions as they seek to reach people through innovative outreach. The Bells seek our prayers as they continue to serve their communities through these crucial, non-traditional forms of ministry. 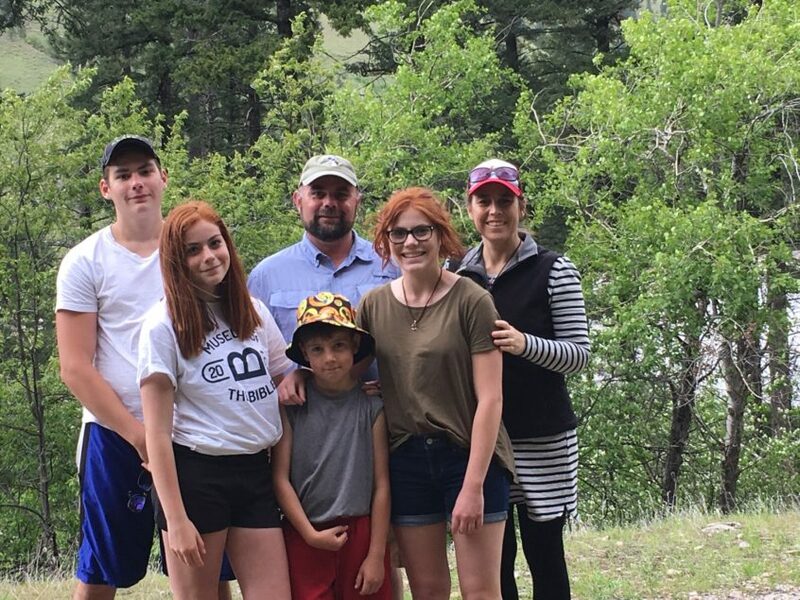 Jessica Crusch is a contributor to the Montana Southern Baptist Convention enews, and wife to Eric Crusch, pastor of Elkhorn Community Fellowship in Townsend, MT.